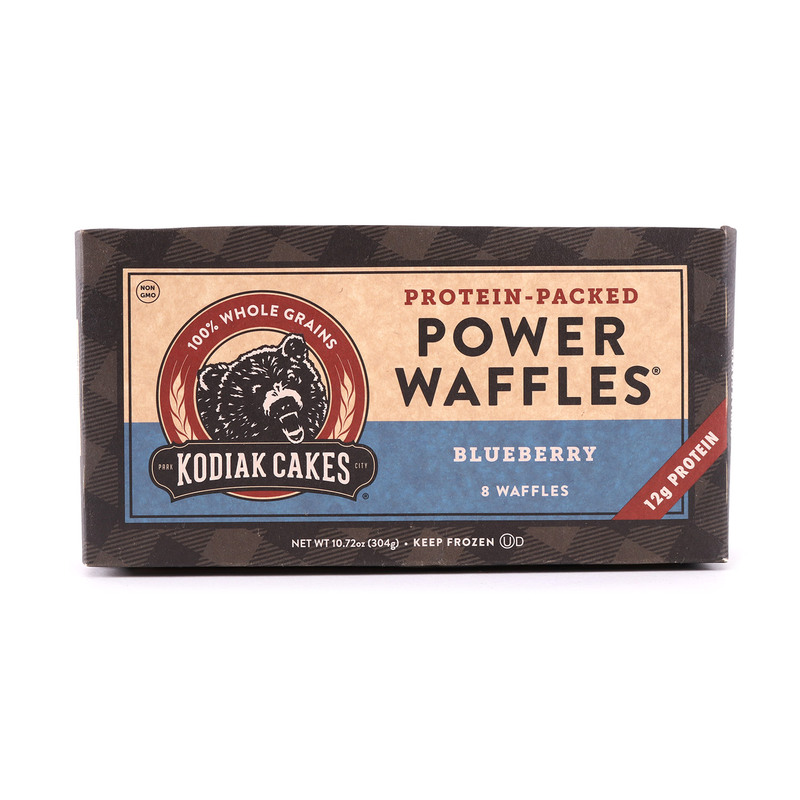 Kodiak Cakes Blueberry Power Waffles® are packed with 12 grams of high-quality protein for a filling, satisfying breakfast or empowering mid-day snack. Blueberries complement the rich flavor of 100% whole grain wheat and 100% whole grain oat flour for a flavor you’ll crave first thing in the morning or as a post-workout treat—just toss them in your toaster (or toaster oven) until they’re hot, crispy, and ready to devour. 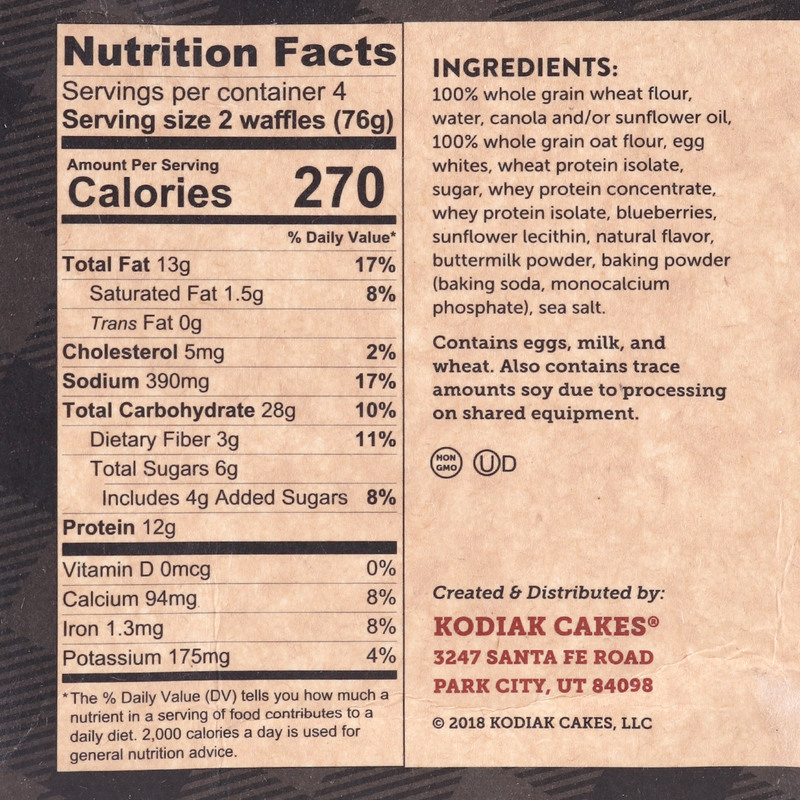 100% whole grain wheat flour, water, canola and/or sunflower oil, 100% whole grain oat flour, egg whites, wheat protein isolate, sugar, whey protein concentrate, whey protein isolate, blueberries, sunflower lecithin, natural flavor, buttermilk powder, baking powder (baking soda, monocalcium phosphate), sea salt. Contains eggs, milk, and wheat. Also contains trace amounts soy due to processing on shared equipment.